The February half term activities programme is an excellent way to introduce your child to a wide range of sports and activities. 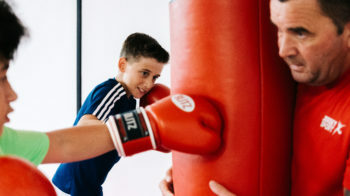 The programme is all about getting active and having fun and our qualified coaches will help your child develop new skills and make new friends. 1. BADMINTON (ages 8-13) – FULLY BOOKED! £16 per morning or afternoon, or £28.80 per full day. £12 per morning or afternoon, or £19.20 for the day. 5. SWIMMING – YOUNG SPLASHERS (ages 4-6) – FULLY BOOKED! 6. SWIMMING (ages 7-13) – FULLY BOOKED! 7. WALL CLIMBING – FULLY BOOKED!